What an awesome story! 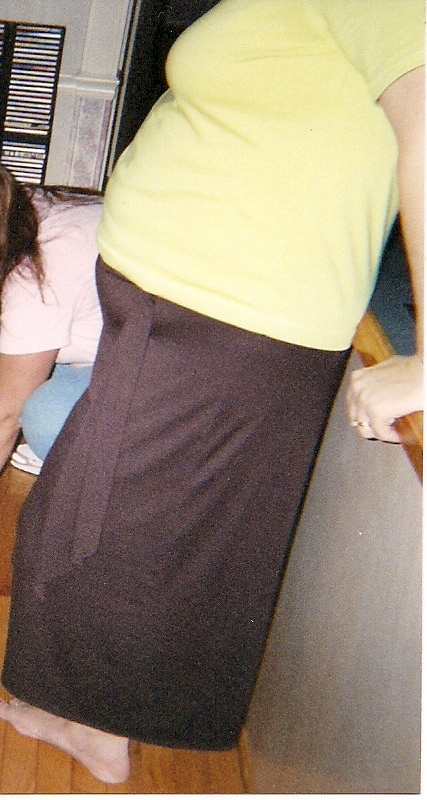 Congrats to Kim for taking control....working in the health care field, I see so many go down the road you spoke of. Completely giving "into" their disease and letting it completely debilitate them. So many could learn from this story. She definitely lives knowing we all have more power than we think! Thanks for sharing and continued success to Kim!! I am an IKFF kettlebell teacher. I recently took on a client with MS. Kims story is really inspiring and Im excited to start helping my client to regain some mobility and strength. I would love to know which exercises where most effective and if any were counter productive. I have a good idea on programming for her but would appreciate any feedback. Hi Meredith, First of all, is your client heat sensitive? There is no way I will ever be able to exercise outdoors if the temperature is above 75 degrees. As stated in the article, I do have to have some type of fan blowing on me during the exercises because getting hot does bring out MS symptoms. If your client ever says "I can't" have her question herself as to if she "can't" because of being out of shape and doesn't feel like she can accomplish a particular task, or if she "can't" because of the MS. Make your client explain exactly what they are feeling at that particular moment. Is there tingling, numbness, sudden fatigue brought on by heat? Can they do a varied form of the exercise or at least a part of it? Repetitious movements can exhaust a particular area and that is why I like Lauren's routines. She has you to get through each segment and move on and you are not constantly focused on one area. Example: Walking on the treadmill for 20 minutes can weaken the legs, cause numbness, etc., because it is basically the legs doing all of the work. I like the fact that Lauren has you to do a routine and you get a break from that routine by doing something else and it gives a particular area time to recover. Each MS case is different. The task may have to be broken down or varied. When I am doing a high intensity section (high pull, catch, and squat; mountain climber; squat thrust), by the second time through the routine I may have to give myself an extra 10 to 20 seconds break in addition to Lauren's one minute break. I would rather have the extra recovery time and make it through the routine, than to not do the routine at all. I love all variations of the swing but do notice I begin to loose form quicker with the hand to hand swing. If that begins to happen, I will go back to two handed swings. With the Turkish Get Up, I can stand up on my left side, but can only get to lunge position on the right side. I do not know if that is from damage from previous relapses and I am just weaker on that side, or if that is common. I actually prefer Turkish Get Up Squat Style, it seems easier but I want to be careful that I am not choosing the "easy way out." In the beginning I noticed itching of the legs when doing the swings. I do not know if my medication contributed to that since I do take the injection in my legs. Just make sure that your client communicates with you what she is feeling, if a routine feels too easy for her, too hard, if it is too hard, why? Is it too hard because of the MS or because it is something new? 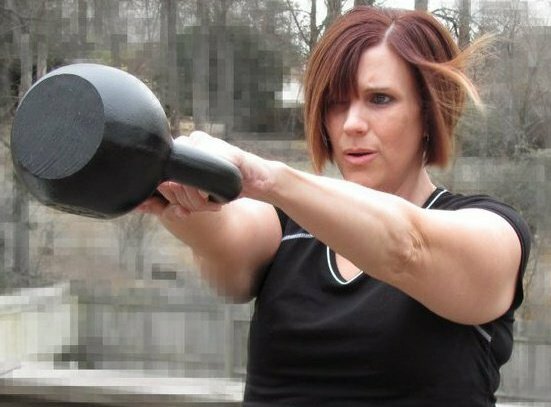 I have been fortunate to not experience the numbness, fatigue, etc, with kettlebells as I do with other forms of exercise. I hope that your client's experience is just as successful. WOW, Kim! Kudos to you for not taking this disease "lying down" and still going on with your life to improve yourself. You look great! Stories like this help me to realize time and again the blessings of what we do Lauren and you particularly continue to inspire. All the best in health to Kim and to you as well. You are such an inspiration to all, I have watched your transformation an am in awe of all GOD has done in your life, first with the kettle balls an now with becoming a yoga instructor Keep up the good work, well done..
Hi Kim, I am very interested in knowing how do you feel now. Are you still working with kettlebells? In 1995 I´ve got diagnosis multiple sclerosis. I tried a lot to compensate the appearances of the MS.One year ago I tried kettlebells and swinging bar.Swinging bar goes deeper in the muscles and needs longer to regenerate. Kettlebell makes me tired for a shorter time, but afterwards I feel stronger safer in standing and going. Good training for balance ans propriocepsis as well. 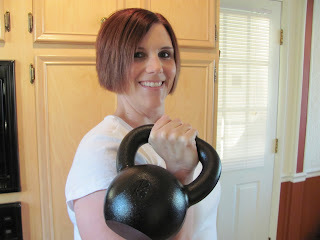 You are the first and only person I know which works with kettlebells with MS.